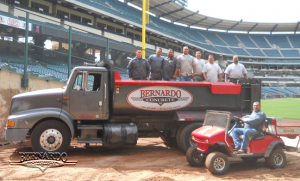 southern california – Concrete Contractors, Concrete Construction, Concrete Paving | Bernardo Concrete Inc. When it comes to installing or replacing new or broken pieces of concrete floor better known as concrete slab; we are the go to guys. Here at Bernardo we have over twenty years and counting of experience in the concrete business. Even when establishing something as simple as a concrete slab there is a lot more that a person is unaware of that needs to be done. We have the technique and skills it takes to professionally install or replace any type of construction work a customer requests by us. You might think that all it takes to construct a concrete slab is some cement and tools; however, there is a lot of little details necessary in creating a correct concrete slab. We always make sure we thoroughly go through the plans for any construction job so that we become well acquainted with the area and know exactly what needs to be done. The base of a concrete slab involves 2 x 4 wooden planks used to mark off the area where the cement is poured. After the perimeter is established we can then bring in the cement truck and being the process of pouring all the cement needed for the area. At this point the construction is based on our expertise and technique. It requires us to know exactly how to form the concrete slab so that the cement is evenly distributed throughout the area. Once that is done we use our different techniques and tools to smooth out the surface so that we create what everyone sees simply as a concrete slab. Just this past week Bernardo was hired to input a concrete slab of 200 yards for a property manager in Huntington Beach. This was a very large project for us but we managed to complete the job within two days. For this project we were hired to form and pour the concrete slab. With the large crew working to get the job done we were able to set certain crew members to complete a specific part of the concrete slab. At Bernardo we are always organized and are sure to have a plan set so we are well prepared and able to take on any job no matter how large or small it may be. After we completed the project our customer let us know how pleased he was with the work we accomplished for him. Below is a video of the crew at Bernardo working to complete the concrete slab at a commercial retail building. In order to work as planned we started the day bright and early by laying down the rebar all along the flat land where the concrete slab was going to be poured. After all the rebar was positioned correctly we brought in the cement trucks to pour the concrete. We only poured a certain area at a time so that we could work on that one area before it dried. With every area we poured we had to form the cement, which meant we had to level it to an exact 4″ thick throughout the entire area of the slab. For a concrete slab this large we made precise measures so that we wouldn’t make any mistakes. After all the areas were completely poured and leveled we finished off the concrete slab with a broom finish.